Chronic endometritis (CE) is one of the most common disorders of the female reproductive system. Identification of the infectious cause of CE remains a persistent problem, especially in light of the recent concept of the microbiome. The aim of the study was to evaluate the microbiome in the cervical canal and uterine cavity in patients with CE compared with CE-free women. Materials and methods. A total of 75 women of reproductive age were examined: of those, 33 were CE-free (group 1) and 42 – diagnosed with CE (group 2). To study the microbiological characteristics of the genital tract, we used our original technique able to minimize contamination of uterine samples by cervical microflora. Results. In both groups of women, positive growth of microflora (mostly, Lactobacillus) in either cervical or uterine cavity samples was found. In women with CE, a different type microflora dominated: thus, in every 8th patient of group 2, the cervical canal samples contained β-lactamase producing by Escherichia coli, which indicated a highly rational antibiotic therapy. Conclusion. We propose that the somatic status plays a crucial role in the overall body response to a pathogenic microorganism. In our study, the microbiomes of the endometrium and the cervix were similar, but not identical; there were differences between the women with different medical conditions. Perm State Medical University named after academician E.A. Wagner, Health Ministry of Russian Federation. Kobaidze Ekaterina Glakhoevna – PhD, Associate Professor, Department of Obstetrics and Gynecology. 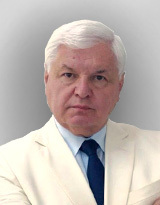 Padrul Mikhail Mikhaylovich – MD, Professor, Head of Department of Obstetrics and Gynecology. 1. Kitaya K. Prevalence of chronic endometritis in recurrent miscarriages. Fertil Steril. 2011; 95: 1156-8. 2. Johnston-MacAnanny E.B., Hartnett J., Engmann L.L., Nulsen J.C., Sanders M.M., Benadiva C.A. Chronic endometritis is a frequent finding in women with recurrent implantation failure after in vitro fertilization. Fertil Steril. 2010; 93: 437-41. 3. Di Pietro C., Cicinelli E., Guglielmino M.R., Ragusa M., Farina M., Palumbo M.A. et al. Altered transcriptional regulation of cytokines, growth factors, and apoptotic proteins in the endometrium of infertile women with chronic endometritis. Am J Reprod Immunol. 2013; 69: 509-17. 4. Cicinelli E., Matteo M., Tinelli R., Pinto V., Marinaccio M., Indraccolo U. et al. Chronic endometritis due to common bacteria is prevalent in women with recurrent miscarriages as confirmed by improved pregnancy outcome after antibiotic treatment. Reprod Sci. 2014; 21: 640-7. 5. Cicinelli E., De Ziegler D., Nicoletti R., Tinelli R., Saliani N., Resta L. et al. Poor reliability of vaginal and endocervical cultures for evaluating microbiology of endometrial cavity in women with chronic endometritis. Gynecol Obstet Invest. 2009; 68: 108-15. 6. Cicinelli E., Matteo M., Tinelli R., Lepera A., Alfonso R., Indraccolo U. et al. Prevalence of chronic endometritis in repeated unexplained implantation failure and the IVF success rate after antibiotic therapy. Hum Reprod. 2015; 30: 323-30. 7. Kitaya K., Tada Y., Hayashi T., Taguchi S., Funabiki M., Nakamura Y. Comprehensive endometrial immunoglobulin subclass analysis in infertile women suffering from repeated implantation failure with or without chronic endometritis. Am J Reprod Immunol. 2014; 72: 386-91. 8. Mor A., Driggers P.H., Segars J.H. Molecular characterization of the human microbiome from a reproductive perspective. Fertil Steril. 2015; 104: 1344-50. 9. Rhoads D.D., Cox S.B., Rees E.J., Sun Y., Wolcott R.D. Clinical identification of bacteria in human chronic wound infections: culturing vs. 16S ribosomal DNA sequencing. BMC Infect Dis. 2012; 12 (1): 321. 10. Mitchell C.M., Haick A., Nkwopara E., Garcia R., Rendi M., Agnew K. et al. Colonization of the upper genital tract by vaginal bacterial species in nonpregnant women. Am J Obstet Gynecol. 2015; 212 (5): 6111-9. 11. Moreno I., Codoner F.M., Vilella F., Valbuena D., Martinez-Blanch J.F., Jimenez-Almazan J. et al. Evidence that the endometrial microbiota has an effect on implantation success or failure. Am J Obstet Gynecol. 2016; 215: 684-703. 12. Hemsell D.L., Obregon V.L., Heard M.C., Nobles B.J. Endometrial bacteria in asymptomatic, nonpregnant women. J Reprod Med. 1989; 34: 872-4. 13. Møller B.R., Kristiansen F.V., Thorsen P., Frost L., Mogensen S.C. Sterility of the uterine cavity. Acta Obstet Gynecol Scand. 1995; 74: 216-9. 14. Padrul M.M., Zakharova Yu.A., Kobaidze E.G. Method for diagnosis of the microbial factor in chronic nonspecific endometritis [Sposob diagnostiki mikrobnogo faktora pri hronicheskom nespecificheskom endometrite]. Patent RF № 2624855 ot 07.07.2017; Byul. № 19: 6 s (in Russian). MPK G01N 33/48 G01N 33/483 G01N 33/497. 15. Techniques for collecting and transporting biomaterials in microbiological laboratories: methodological guidelines [Tekhnika sbora i transportirovaniya biomaterialov v mikrobiologicheskie laboratorii: metodicheskie ukazaniya]. MU 4.2.2039-05. 2006: 126 s (in Russian). 16. О rder of Health Ministry of the USSR № 535 from 22.04.85 «On the unification of microbiological (bacteriological) research methods used in clinical diagnostic laboratories of medical and preventive institutions» [Prikaz MZ SSSR № 535 ot 22.04.85 «Ob unifikacii mikrobiologicheskih (bakteriologicheskih) metodov issledovaniya, primenyaemyh v kliniko-diagnosticheskih laboratoriyah lechebno-profilakticheskih uchrezhdenij»] (in Russian). URL: www.libussr.ru/doc_ussr/usr_12667.htm. [Accessed: 03.11.2017].